Walgreens is a great place to save big. Almost every week there are a few products you can get for free, plus lots of items for under $1. If you haven’t picked one up yet you will need a Walgreens Balance Rewards card. You can either get one in the store or online. You will need to use your card when you checkout to get the Register Rewards (RR) or Balance Points. 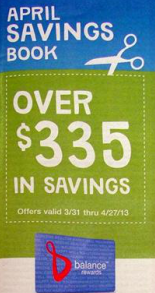 Walgreens has store coupons that you can use and “stack” along with Manufacturer coupons get an even better deal. You can find the Walgreens store coupons by the circulars near the entrance to the store. They come out in a booklet every month. Walgreens also have Register Rewards (RR) you can earn for buying certain items. They will print out separately from your receipt.You can see what items you can earn a Register Reward for each week in the Walgreens Deals here. I always post the top 10-15 best deals each week at Walgreens on Saturday so you can start planning your trips. 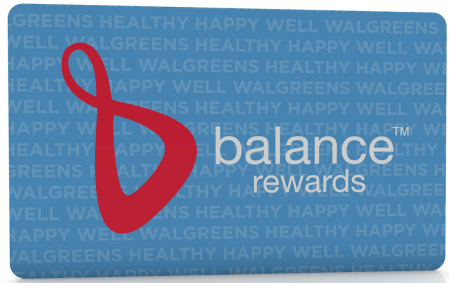 Walgreens also has a points program called Balance Rewards. You can earn points for purchasing certain items. You can see what items you can earn Balance Points for each week in the Walgreens Deals here. Balance Points last for three years, so they are great to save for those Thanksgiving Money Makers. Finally, don’t forget to “roll” those Register Rewards. Just save the ones you get this week to use next week. Your out of pocket will soon become pocket change!